When President Obama’s second term in the office of President of the United States of America comes to an end, he will be moving out of the White House too. 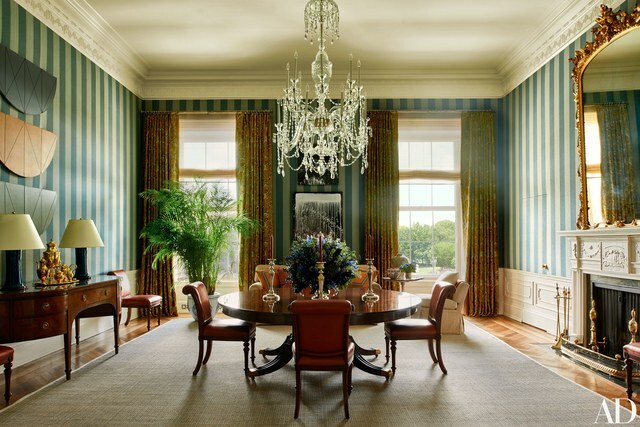 And before the new President-elect takes over the office and the home, let’s take a look inside the private quarters of the Obamas at the offical residence of every U.S. president. 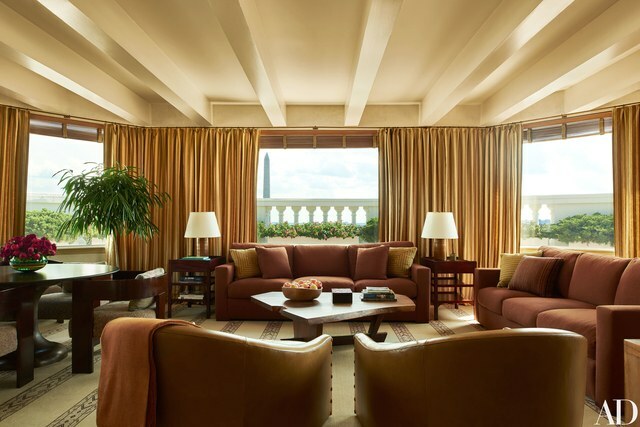 Decorated by Michael S. Smith for the Obamas, the decor of the oasis is elegant and relaxed as the First Family calls it home. 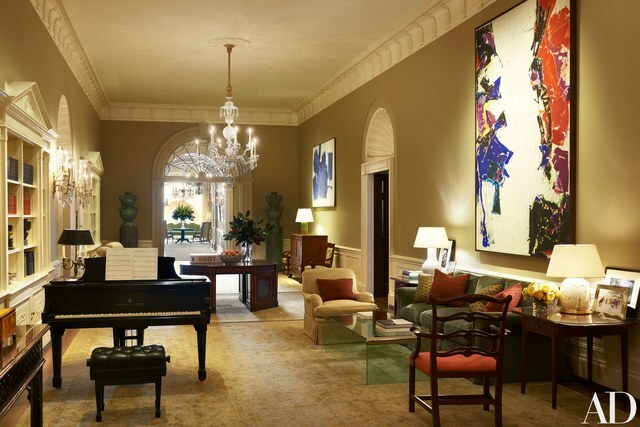 One of the image shows President Obama and his daughters, Malia and Sasha, relaxing in the Treaty Room under a painting by Susan Rothenberg. 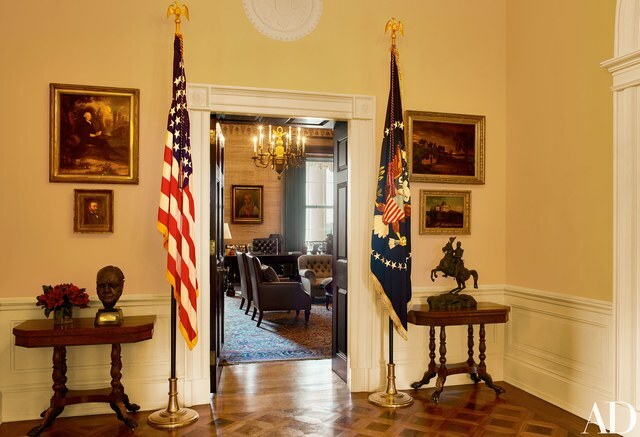 Obama often prefers to retreat late at night at the Treaty Room which features memorabilia including one of the President’s two Grammy Awards, family photos, and a personalized football. 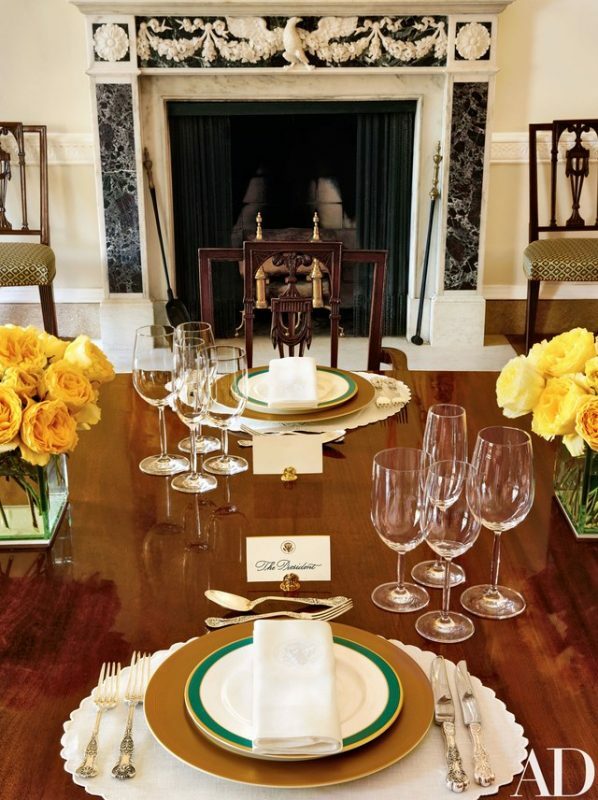 Mr. President also uses the room’s namesake table which has been in the White House since 1869, as a desk. 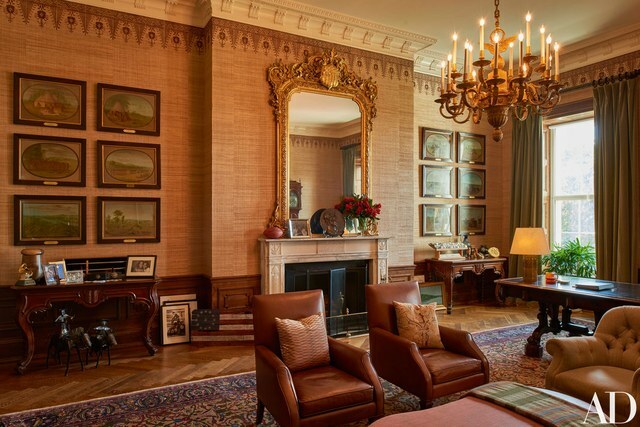 Other notable decor of the Treaty Room includes George Catlin scenes of Native American life, walls covered in custom-stenciled Larsen abaca, eighteen-fifties overmantel mirror, 1930s Hereke carpet and Sir Jacob Epstein’s 1946 bust of Winston Churchill atop a circa-1810 New York card table. 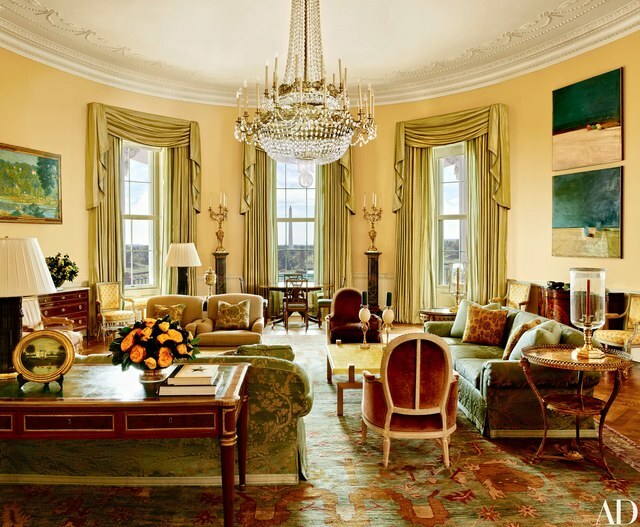 The Yellow Oval Room welcomes with shades of browns, greens, golds, and blues. Those interested in history will be glad to know that the 1978 Camp David peace accords were signed at the antique Denis-Louis Ancellet desk. 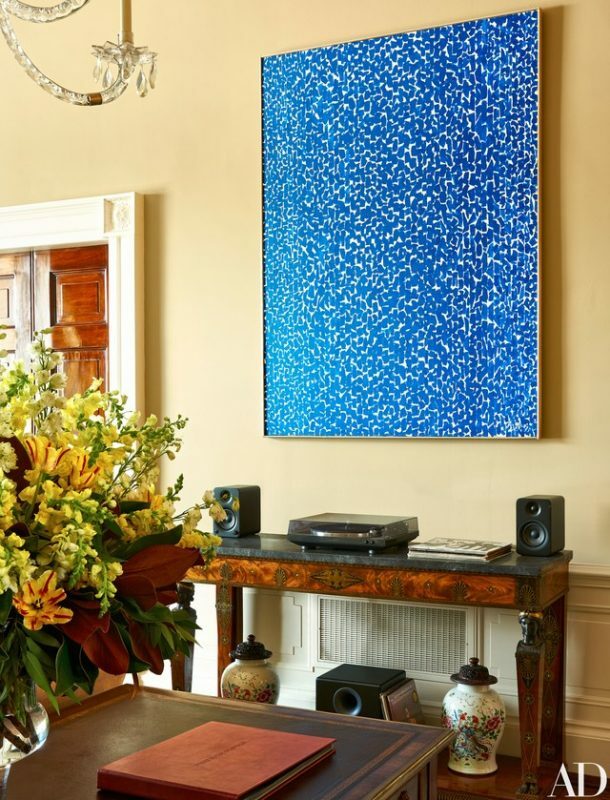 And art lovers can take a look at Alma Thomas’s 1973 Sky Light that hangs above a 1895 English mahogany pier table in the West Hall. Also the Center Hall boasts of Peter Schlesinger urns as well as paintings by Sam Francis and Hans Hofmann. 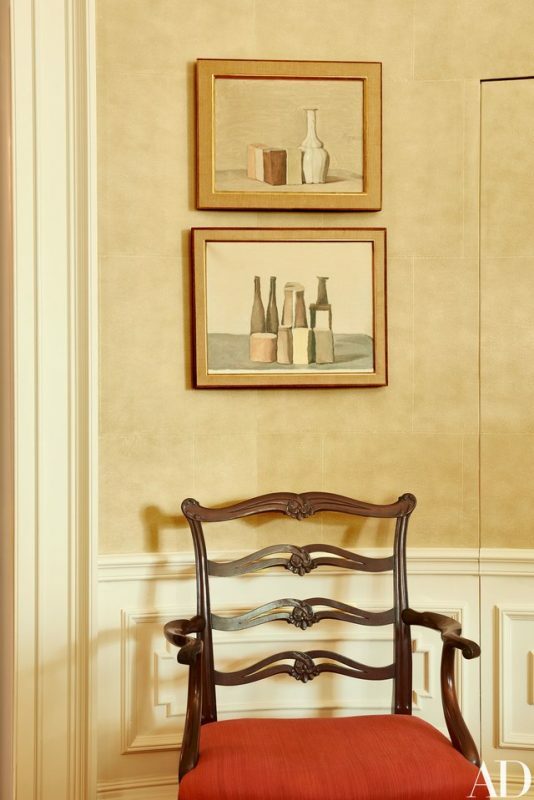 The master suite of the President and the First Lady is also home to Giorgio Morandi paintings and a 1903 A. H. Davenport & Co. armchair. 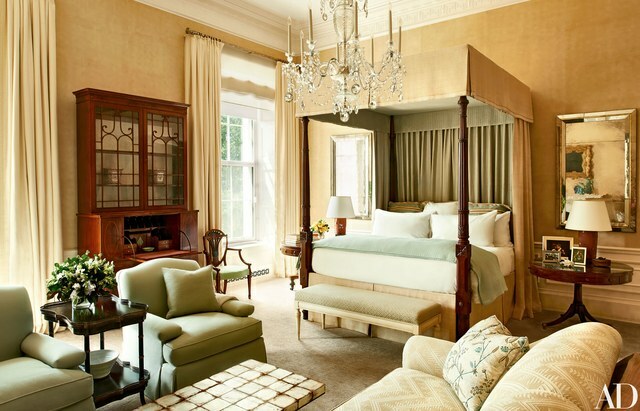 Also the antique canopy bed is curtained with Larsen and Jasper fabrics and outfitted with Nancy Koltes bed linens. 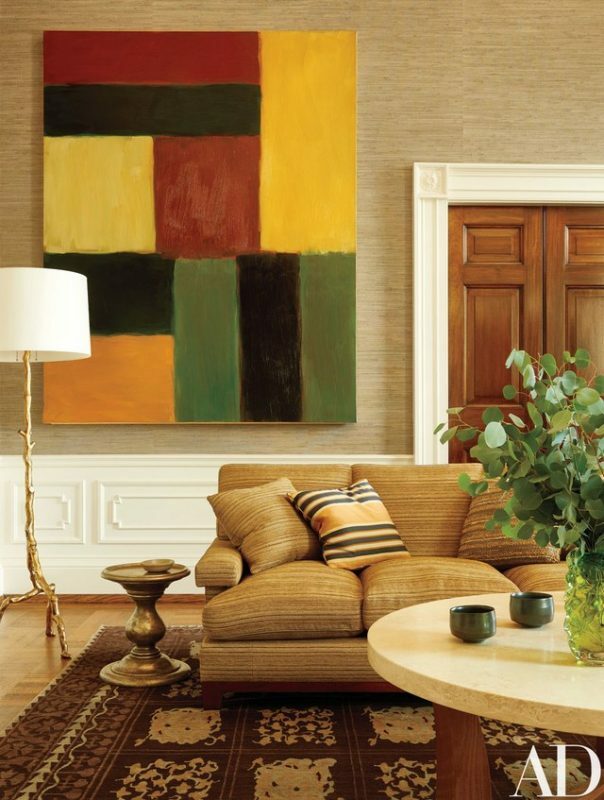 1960s Robert Mangold works hang on the Family Dining Room’s Jasper-fabric-covered walls. This area also contains a Sean Scully artwork, a Roman Thomassofa, a Baker floor lamp, and a Jasper side table. 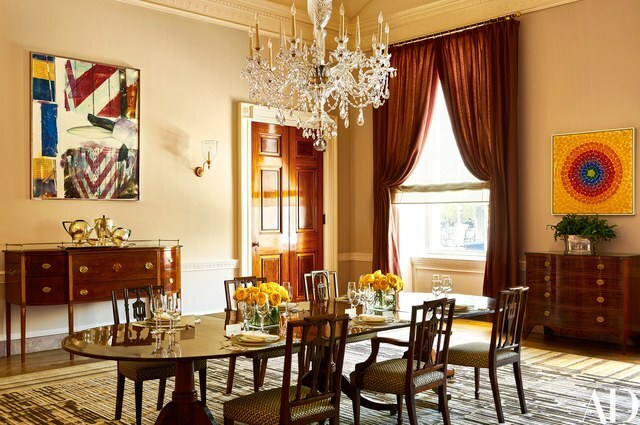 The Old Family Dining Room, where the luncheon is served, is decked with George Spencer Designs curtains fabric and Anni Albers–style carpet.